Thea Beckett of Chico has been competing with Special Olympics for more than 15 years and will represent Special Olympics USA in Unified golf at Special Olympics World Games Abu Dhabi 2019. She has participated in golf, bowling, basketball, volleyball, softball, track and field, bocce and swimming and has earned more than 80 medals. Off the field, Thea volunteers her time at numerous fundraisers and speaks about Special Olympics within her community. She credits Special Olympics for giving her more confidence, self-worth and pride. 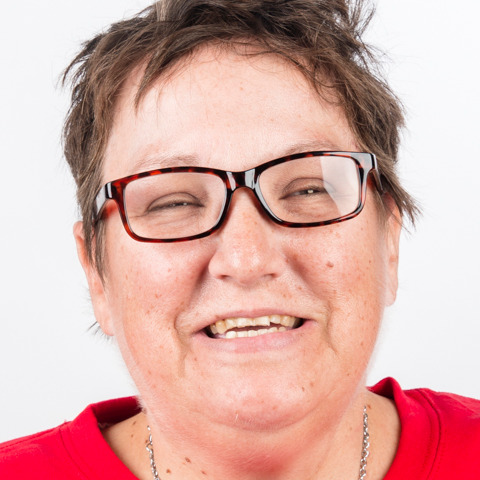 Thea has been employed at the same company for 17 years and enjoys exercising, reading and listening to music in her free time. She is excited to meet people from all across the globe in Abu Dhabi and build new friendships.